Everyone is familiar with the famous Instagram icon. You could recognize it anywhere! But behind every good icon, is an even better story. In this article, we’re going to share 8 fun facts about the Instagram icon. In 2016, the current colorful Instagram icon launched. Of course, people lost their minds. As a society, we don’t like change. However, looking back at the very first ever Instagram icon, we think it might be a good thing. Many of us probably have never seen the original Instagram icon. The original Instagram icon wasn’t very long lived but it did exist. It embodies a super retro Polaroid camera with the classic rainbow stripe which became iconic in the future Instagram icons. CEO Kevin Systrom actually designed the original logo himself! However, in the same season that Instagram launched, Kevin Systrom hired designer, Cole Rise, to create the classic Instagram icon. We’ll talk about that later. Basically, it wasn’t good or unique enough! Instagram is the preferred social media app eight years later. A lot of that has come down to branding. 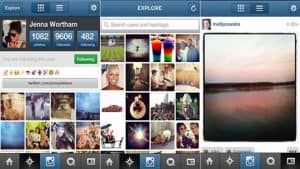 From the friendly interface to the bright colors, Instagram has thought about it all from 2010 until now. 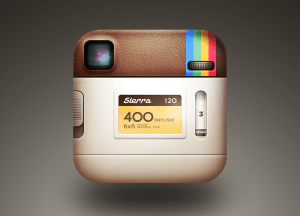 That brings us to the classic Instagram icon that helped Instagram become what is today: recognizable. Doesn’t that just bring you back?! 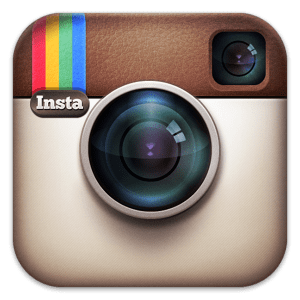 The classic, yet still retro, Instagram app icon definitely reminds us of the good old Instagram days, before the crazy algorithm and sponsored posts. 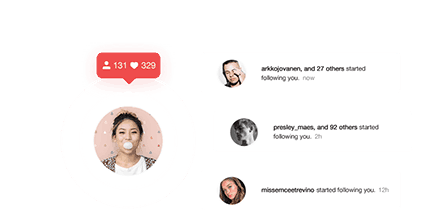 Cole Rise designed the Instagram icon as well as its partner apps, Layout, Boomerang and Hyperlapse. In fact, Cole Rise was so influential that the in-app filter, Rise, is named after him. Rise was originally hired because of his work on the Uooo icon. Rise said he would rework the design and come up with something for Instagram. Only 45 minutes later, the classic Instagram icon was born! The image on the left was the original version of Rise’s Instagram icon. Over the next few months, it was polished to become what we now associate with Instagram! So, that’s how the classic Instagram icon was created. Certainly, it’s a cool story! 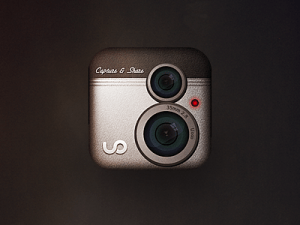 Fun fact: Cole Rise designed a back to the Instagram icon. Of course, it was a joke because users would never see it when using the app! Cole says they got “really nerdy” about it all. You can totally imagine three geeky guys hovered around a computer screen designing the back of the Instagram icon! Maybe you’ll remember the mayhem that followed after Instagram changed not only their icon but their interface in 2016. In 2016, the current Instagram icon was launched. This colorful vibrant icon shook the world when it was released. But people were in for a surprise when they opened the app, too! Because not only had the Instagram icon undergone a makeover, so did the app! Whether you prefer the old or the new Instagram icon, you have to admit: the new interface is much better. Instagram claimed it took away the blue and changed everything to black and white so that photos and videos would stand out. After all, that’s the purpose of the app! The new interface definitely creates a cleaner and simpler user experience. Nothing happens mindlessly these days. Behind every good logo, is a symbolic meaning. So what exactly is the meaning behind the new Instagram logo? Well, fun fact, there are a handful! Vibrancy and diversity. Instagram claims they wanted the logo to reflect the “vibrant and diverse” community that uses the app. 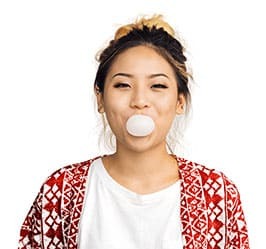 In fact, they said, “The Instagram community has evolved over the last five years from a place to share filtered photos to so much more—a global community of interests sharing more than 80 million photos and videos every day. Our updated look reflects how vibrant and diverse your storytelling has become.” It certainly seems very thoughtful! But that’s not all. Color. 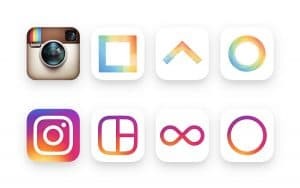 You’ll notice they didn’t lose the classic rainbow colors when updating the Instagram icon. 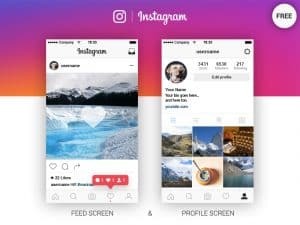 They said, “The color has always been an important element in Instagram: is part of the classic icon of the application, filters, and photos and videos of the community. When we begin to reimagine the rainbow look more minimalist options. Finally, we realized we needed more warmth and energy to complete the design”. 💡 Related Post: Who created Instagram? 6. How Long Did It Take To Design The New Instagram Icon? Well, do you have 9 months? Because that’s how long it took to design! The Instagram design team, managed by Ian Spalter, took a whole 9 months to create and perfect the current Instagram logo. This creative video announced the new Instagram icon. However, although 9 months of hard work created the the new icon, it took only minutes for the millions of users to rain on the parade. Fun fact number 7: no one liked the new Instagram icon. When the colorful gradient app icon was announced, there was a passionately angry response. The majority of responses to the new Instagram icon was negative. In fact, it was a risk to even use social media that day! So much negativity spread. 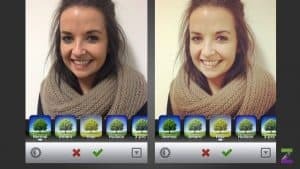 Users called the new Instagram icon “stupid”. Some even had the nerve to call it “gross” which is definitely an unusual choice of words! However, in the midst of all the hate, there was some positivity. Okay, so it’s still not looking good for the logo but hey, at least this person didn’t call it “gross” or “stupid”. At least Instagram didn’t back down and change it even though there were multiple hashtag campaigns! The new colorful Instagram icon lives on to this day. I think, after all this time, we’re used to it. Of all the people you’d expect to love it, Cole Rise wouldn’t be one of them! The creator of the classic Instagram icon is a huge fan, though! Even though a less popular design replaced his, he still shared positive sentiments about the new app interface and logo. In fact, in the end, most journalists accepted that although it wasn’t the old icon, it wasn’t actually bad. So from vintage and retro, to minimal and colorful, the Instagram icon has been through the works. These 8 fun facts will ensure you never look at the Instagram icon the same way again! You’ll always be thinking of all the drama and history that surrounds the little square on your phone. While you’re here, check out Upleap: dedicated account managers here to help you build your brand, grow your account, and secure your online social influence. Click here to start your free trial!